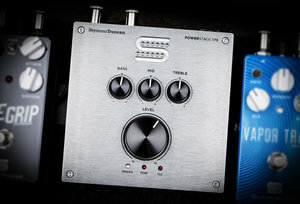 PowerStage 170 är ett 170-watts slutsteg med ren, varm preampsektion och 3-bands EQ, vilket gör den till det ultimata verktyget för ditt pedalbord! The PowerStage 170 is a game-changing product for guitar players that have dreamed of the day their entire rig can live on their pedal board. Maybe you love your tube amp but dont want to lug it around. Or you use a modeler that has a ton of functionality but doesnt sound as good when plugged in to your amp. Do you dread fly dates or gigs because youre never sure what your backline will be? 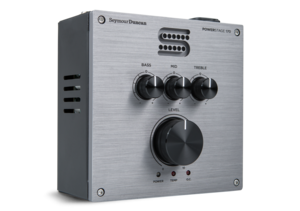 The PowerStage 170 will give you reliable, musical power on every gig, eliminating the uncertainty that backline amps can bring. 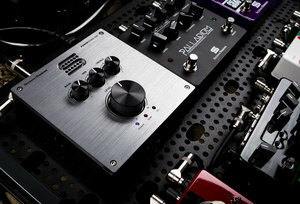 Simply bring your guitar and your pedalboard and get your tone through whatever cab is provided. The 170s intuitive 3-band analog EQ allows for quickly fine-tuning your sound for any cabinet and any venueno need to wrestle with the cumbersome and ineffective EQs on digital gear or modify your stompbox settings. Everything you need is right there. 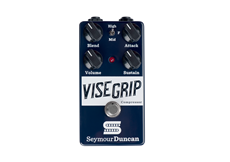 You can even adjust the big Master Volume knob with your foot, boosting solos and controlling dynamics in real time. And when you bypass your overdrive and distortion boxes, it will function as your clean channel, with the sweet, warm sound that we associate with great amps. Not every power amp can do that.